Tips for getting Google Reviews for your business. 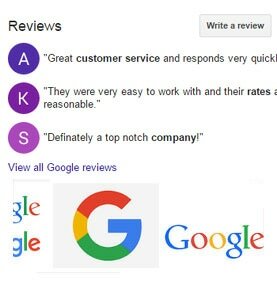 Google reviews for your business allows users, namely your clients and customers to leave you a review if you have a Google My Business page. Your Google My Business page is part of the suite of Google tools that Google provides for small business owners and can be scales to enterprise businesses. There are many other types of sites where customers may leave a review. These include; Yelp, Urban Spoon, Home Advisor, Houzz, Angies List to name a few. What makes Google Reviews so unique is that part of your overall online Google strategy where you can build and grow your online marketing presence. If you do not have a Google My Business page then you are missing out on a critical component of a marketing strategy. Give your customers a place you leave you a kudos on the great service you provide. This will go a long way in convincing potential clients and customers why they should do business with you instead of a local competitor. This is especially true if you have a 5 Star Google Review. Reviews will matter when it comes to showing in the Google local map for local searches related to your business. Please note that Google can detect what are called ‘paid for reviews’. This is when a person of company is hired to do ‘guest posting’ or ‘faux reviews’ in order to game Google. Be forewarned, if caught you will be penalized.